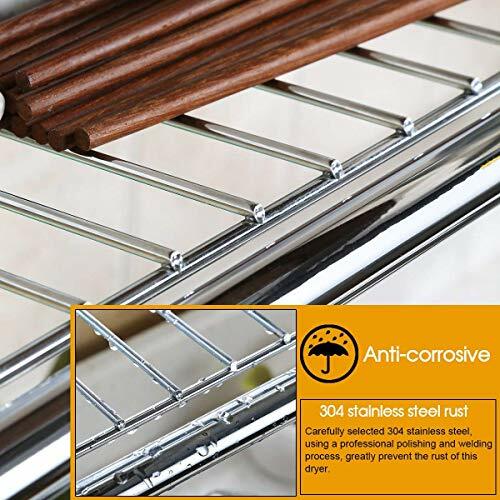 High quality chrome plated dish drainer. 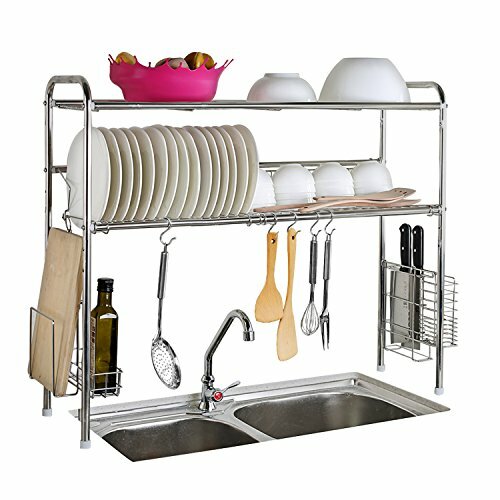 The top tier is designed to hold plates, bowls and dishes while the bottom can be used to dry utensils and glasses. Also places for cutlery and mugs on the both sides. 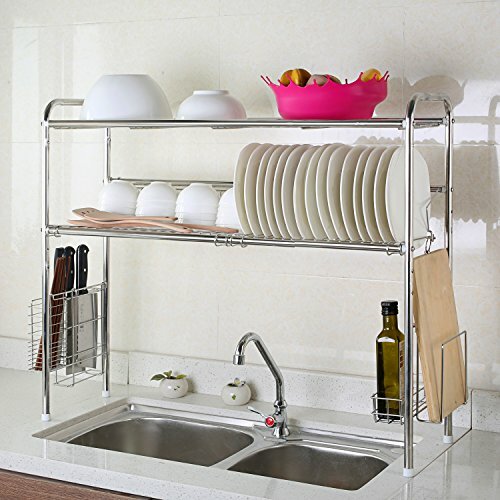 Keep all the cooking utensils and cups tidy, dry, and clean easily. 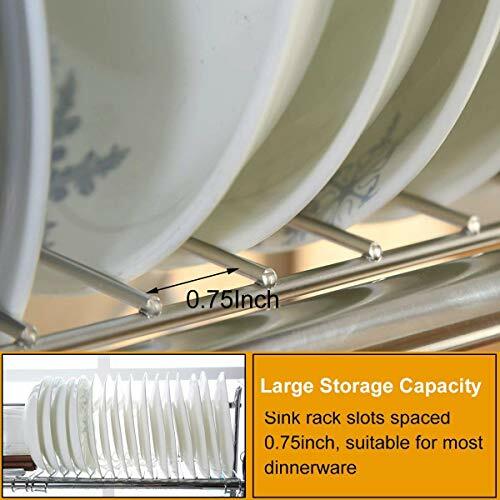 Ideal for any home kitchen or office cup organizing. 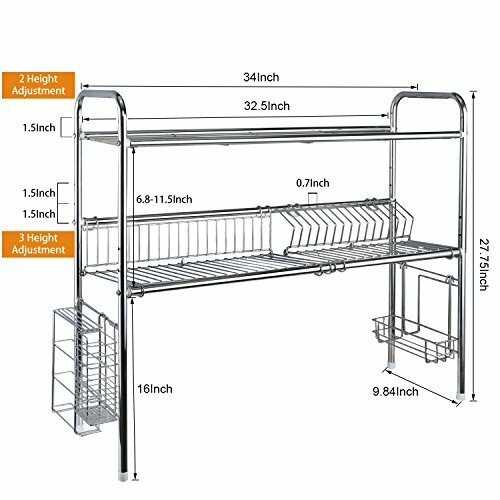 Easy to assemble, clean and maintain. 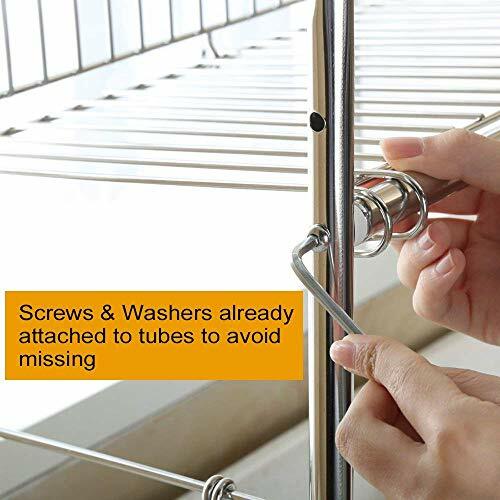 Important Notice: To avoid screws and washers missing, both screws and washers are already attached to two sides of the tubes, please check carefully before installation. 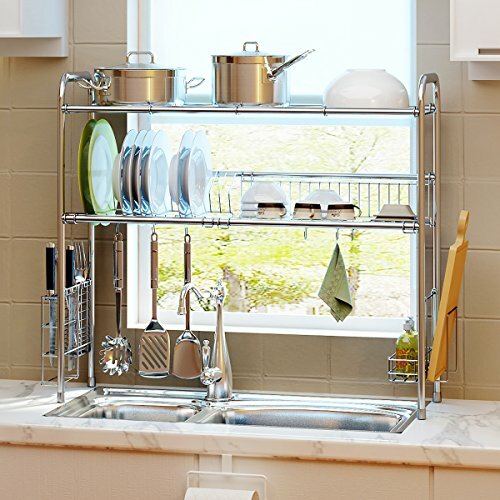 Easy to assemble, over-the-sink design would save much more space in kitchen. Please measure you sink size before order and make sure it fit your sink. 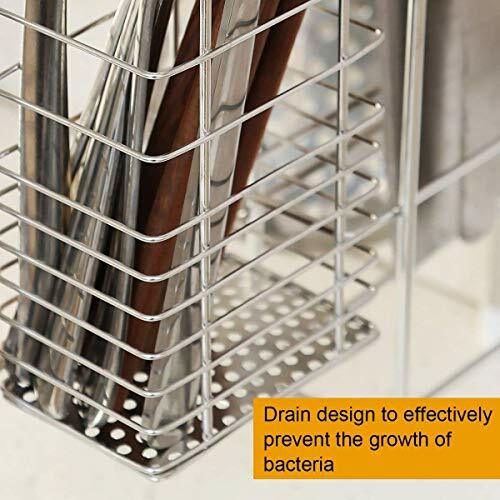 304 Stainless steel material, polishing and welding process, prevent from rusting.The dish rack with height adjustment, sturdy, durable and more effective to storage.Organizing your kitchen: plates, pan, mug, dinnerware. 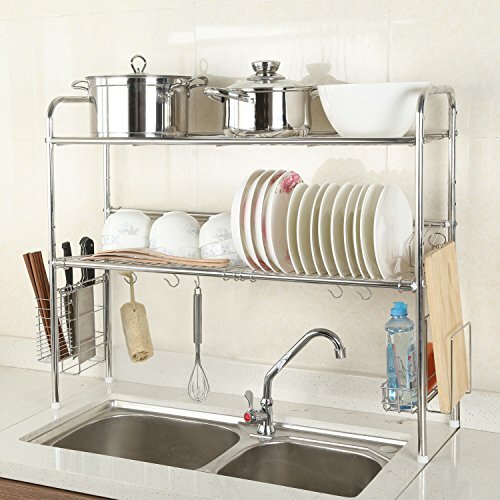 Modern style meets functional design,One side is equipped with the seasoning bottles space and the other side has cutlery drying basket which is ideal to dry utensils,you can remove them whenever you want. If you have any questions about this product by 1208S, contact us by completing and submitting the form below. If you are looking for a specif part number, please include it with your message.